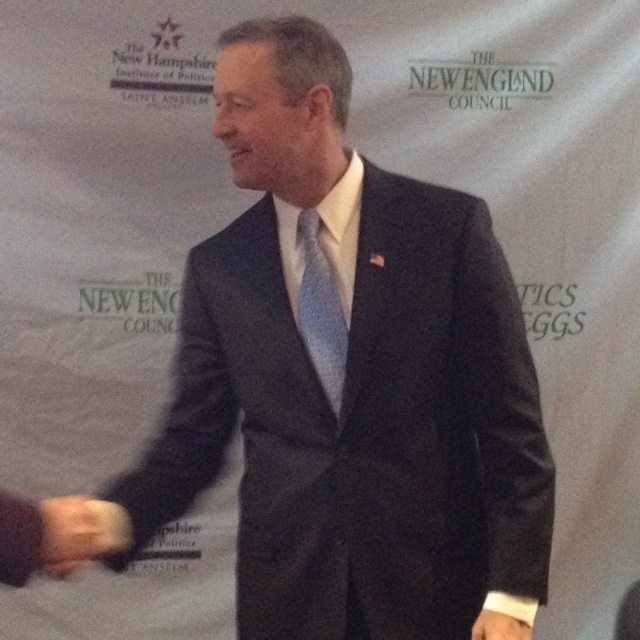 Can Martin O’Malley take on Hillary? There’s no doubt that Hillary Clinton will be the most experienced Presidential wannabe in either party – when she announces her candidacy. But the lead-up to her announcement has been dogged by missteps and reminders of why people don’t want the Clintons back in the White House. Her baggage piles up every week. While most of her supporters would prefer a cakewalk, some concede she’d be strengthened by having primary opposition. But who should it be? He focuses on issues of economic justice and the widening income gap in the United States. His themes are those of Elizabeth Warren, without the intensity of passion. O’Malley favors the return of the bank-regulating Glass-Steagall law, and bemoans the power of special interest groups (who, he claims, wholly own the Republican Party, overlooking their undue influence on the Democrats as well)). Despite O’Malley’s recession-period fiscal reforms, The National Review finds his politics anathema and says his tax policy drove business out of Maryland. The Maryland electorate seemed to repudiate O’Malley’s administration when it upset his own lieutenant governor, turning to the Republican challenger in the race to succeed O’Malley. There’s a deep-rooted optimism in O’Malley, his message one of strength through comity. His mantra, “We’re all in this together.” He has made a point that leadership of this country shouldn’t just be passed back and forth between two families. But he has a lot of work to do if he is to be a viable alternative to Hillary. That work should start with getting smarter about foreign policy. During his meet-and-greet, he said he’s talking to would-be advisers but couldn’t yet reveal their names. When I asked him about the ongoing negotiations of a nuclear Iran, he skated across the surface of the issue. Despite his having made nine foreign trips as governor, Hillary would have him for lunch if he debated her today on anything but economic justice and moneyed interests. Some speculate that he’s just putting himself forward to be her vice-presidential running mate. But it’s useful to remember that a one-term governor and peanut farmer from Georgia got elected President a generation ago. And more recently a two-term governor of Arkansas, nearly as low in the polls at this stage of the campaign in 1991, became a two-term President. Stranger things have happened. As John Cassidy writes in The New Yorker, as Hillary’s bad press continues, we shouldn’t underestimate the potential growth of Clinton fatigue. I’m glad O’Malley is considering the race and hope he develops the gravitas to make the 2016 primary a robust one. No one benefits from a coronation. This entry was posted in Politics and tagged Clinton fatigue, Democratic presidential primary, election 2016, Governor Martin O'Malley, Hillary Clinton presidential campaign, John Cassidy, Maryland Governor, NH Institute of Politics, The New England Council. Bookmark the permalink.